A Rate on non-dividend savings income up to £5,000 is 0% where taxable non-savings income does not exceed £5,000. B Dividend allowance at £2,000 (2017/18 £5,000) effectively taxed at 0% is available. Dividends above this limit are taxed at 7.5% for basic and standard rate taxpayers, 32.5% for higher rate taxpayers and 38.1% for additional and trust rate taxpayers. C Basic rate band increased by gross Gift Aid donations and most personal pension contributions. D Scottish income tax and rate bands apply to earned, pensions and property income of Scottish taxpayers. UK income tax rates and bands apply for other income, including savings and dividend income, of Scottish taxpayers. A Reduced by £1 for every £2 of income over £100,000. B Non-residents may not be entitled to personal allowance, in certain circumstances. C Available to persons born before 6 April 1935. Relief limited to 10%. Reduced to minimum allowance by £1 for every £2 over income limit. Apply personal allowance reduction first. D £500 for higher rate and £nil for additional rate taxpayers. E If gross income in excess of £1,000 a deduction of £1,000 instead of actual expenses is permitted’. A Up to the lower of 100% of earnings or the maximum contribution. Maximum contribution is the annual allowance plus unutilised allowances from the three previous tax years. 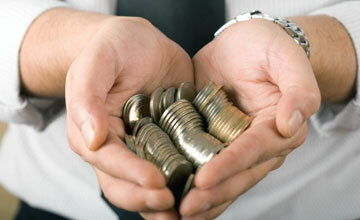 Up to £3,600 may be contributed irrespective of earnings. Annual allowance reduced by £1 for every £2 income over £150,000 to a minimum of £10,000, and to £4,000 maximum if certain pension drawings made. A Additional residence nil rate band (RNRB) of £125,000 (2017/18 £100,000) for transfers of a main residence to direct descendants. NRB and RNRB for estate of surviving spouse are increased by unutilised percentage of NRB and RNRB of predeceased spouse. RNRB tapers away for estates over £2m. B Some lifetime gifts are taxed at 20%. C Tax rate reduced to 36% where 10% or more of net chargeable estate is left to charity. Note: From 6 April 2017, certain returning former UK domiciled individuals, and non-domiciled individuals who have been resident in the UK in at least 15 of the previous 20 tax years, will be treated as if UK domiciled for income tax, capital gains tax and inheritance tax purposes. The first £3,000 of employer’s liability relieved by the employment allowance. No employers NIC for employees aged under 21 (and apprentices up to age 25) on earnings up to £892.00 per week (the Upper Earnings Limit). Apprenticeship Levy at 0.5% payable on annual pay bills in excess of £3m net of £15,000 annual allowance. Note: Help To Buy ISA – deposit limit £12,000, plus up to £200 per month. A Income tax relief at 50%. B Income tax relief at 30%. C £1.5m for enterprises up to 7 years old. D From 6 April 2018 up to £2m for “knowledge – intensive” companies. E Capital gains tax deferral on gains reinvested in EIS and SEIS qualifying investments. 3% supplement to above rates for second properties and all purchases above £40,000 by corporates, discretionary and certain other trustees. Enveloped properties in England and Northern Ireland above £500,000 at a flat 15% SDLT rate unless a relief available. LTT in Wales introduced from 1 April 2018. From 22 November 2017 first time buyer exemption from SDLT for purchases up to £300,000 and for the first £300,000 of purchases up to £500,000. From 1 April 2018 first time buyer relief from LBTT for the first £175,000 of relevant property purchases. England and Northern Ireland – 1% on present value of rents £150,001 to £5m, 2% above £5m. Scotland – 1% on present value of rents over £150,000. Wales – 1% on present value of rents £150,000 to £2m, 2% above £2m. Note: Gains on disposals of property within the Annual Tax on Enveloped Dwellings regime subject to capital gains tax at up to 28%. B Applies to profits of large entities diverted from the UK as a result of an avoided permanent establishment or transactions which lack economic substance. A Nexus based regime operates from 1 July 2016. Previous regime available until 2012 if opt in election made for parents registered by 30 June 2016. A Additional (enhanced) tax deduction available for qualifying R&D expenditure. B Taxable credit available on qualifying R&D expenditure. Rate increases to 12% from 1 January 2018. C Available for research and development, enterprise zone (qualifying zones), energy-saving technologies including cars, water efficient technology, brand new zero-emission good vehicles and electrical charge-points from 23 November 2016 to 31 March 2019/5 April 2019. A Taxable turnover is measured by reference to the last 12 months or next 30 days. Benefit for Electric Vehicles 13%. Diesel vehicles meeting RDE2 standards will be exempt from diesel supplement.